The Good Lobby is an innovative skill-based matching organization connecting people with expertise and knowledge with civil society organizations that need them. 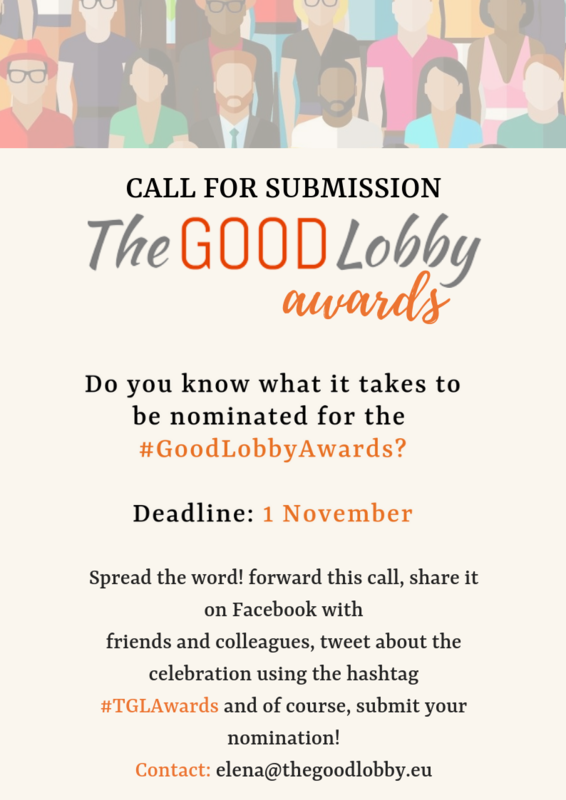 The Good Lobby serves as a clearinghouse, and provides training, technical and strategic assistance in EU law, policy development and communication. It recruits a diverse mixture of expert volunteers to share their skills with NGOs working on the most important social and political issues in Europe. Drawing on – and scaling up – the clinic education model experimented with the EU Public Interest Clinic, TheGoodLobby intends to exploit the untapped potential of academics, professionals and students to help non-profits discharging their mission. To do so, it is building a growing network of professionals across different disciplines like lawyers, communication strategists and IT consultants to support civil society organizations in need of professional services. Non-profit organizations lacking economic means and/or expertise will receive pro bono or low bono integrated legal advice, communication strategy plans and research. We intend to democratize lobbying by enabling anyone to contribute to the policy process and advance the cause she/he believes in. In so doing, we intend to promote a culture of pro bono among the new generations of professionals and advocates and overcome the existing polarisation between the corporate world and civil society. Matchmaking has become a fixture of the sharing economy. We are a highly specialized skill-sharing platform as we focus exclusively on advocacy services. Our methodology has been experimented over more than 3 years and it has already proven to work. We are a group of volunteers but we would like to obtain funding and professionalise rapidly so as to scale across Europe.